Central Baptist Association is here for the purpose of uniting and equipping churches to go on mission as directed by Christ in the Great Commission (Matthew 28:18-20). 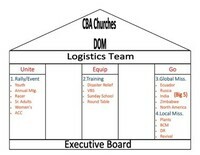 The organizational structure of the association will be constructed similar to that of a house with a foundation, pillars of cooperation, support beam, and a roof. 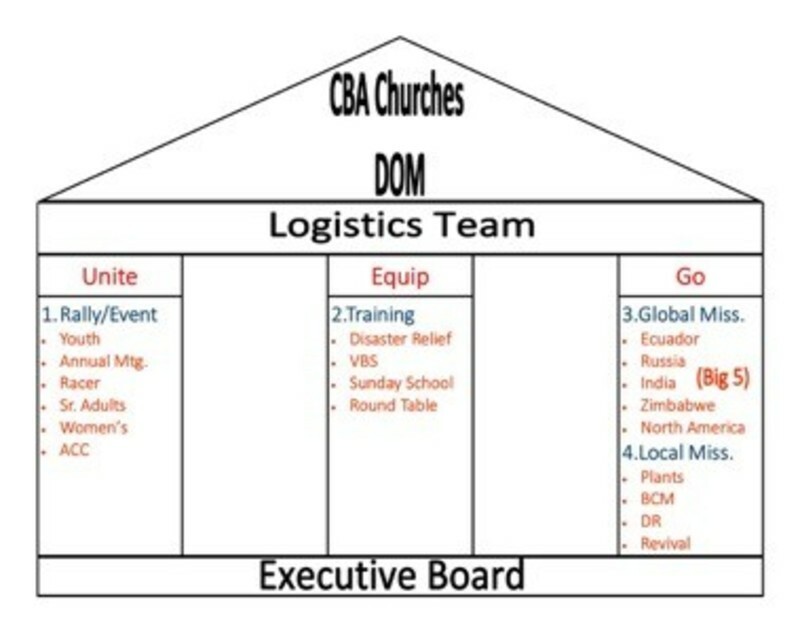 CBA will be constructed of the Executive Board, Unite Equip Go Pillars, Logistics Team, and CBA churches and Director of Missions, respectively.